American writer and activist Alice Walker is best known for her novel The Color Purple, which won both the Pulitzer Prize and the National Book Award. She has written numerous other novels, stories, poems, and essays. Her story 'Everyday Use' originally appeared in her 1973 collection, In Love & Trouble: Stories of Black Women, and has been widely anthologized since. The story is narrated in the first-person by a mother who lives with her shy and unattractive daughter, Maggie, who was scarred in a fire as a child. They are nervously waiting for a visit from Maggie's sister, Dee, to whom life has always come easy. Dee and her companion boyfriend arrive with bold, unfamiliar clothing and hairstyles, greeting Maggie and the narrator with Muslim and African phrases. Dee announces that she has changed her name to Wangero Leewanika Kemanjo, saying that she couldn't stand to use a name from oppressors. This decision hurts her mother, who named her after loved ones. During the visit, Dee lays claim to certain family heirlooms, such as the top and dasher of a butter churn, whittled by relatives. 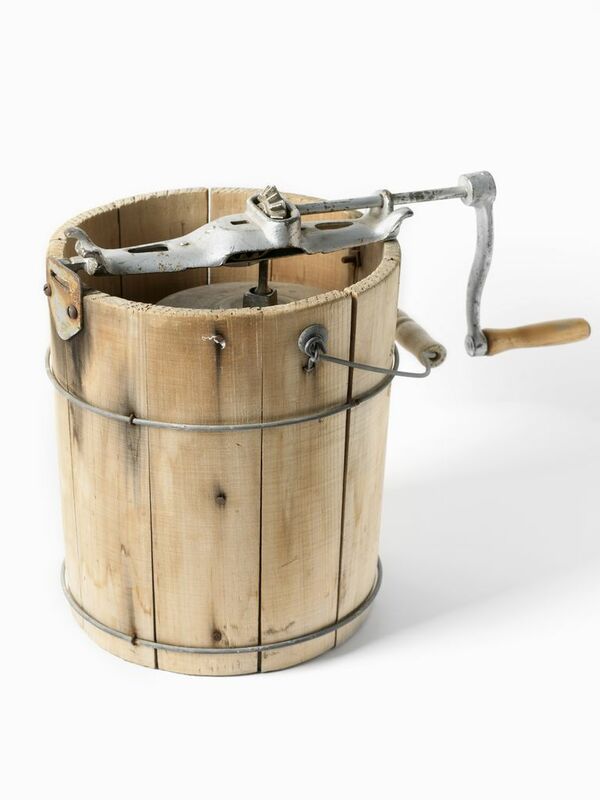 But unlike Maggie, who uses the butter churn to make butter, Dee wants to treat them like antiques or artwork. Dee also tries to claim some handmade quilts, fully assuming she'll be able to have them because she's the only one who can "appreciate" them. The mother informs Dee that she has already promised the quilts to Maggie. Maggie says Dee can have them, but the mother takes the quilts out of Dee's hands and gives them to Maggie. Dee then leaves, chiding the mother for not understanding her heritage, and encouraging Maggie to "make something of yourself." After Dee is gone, Maggie and the narrator relax contentedly in the back yard. Dee insists that Maggie is incapable of appreciating the quilts. She exclaims, horrified, "She'd probably be backward enough to put them to everyday use." For Dee, heritage is a curiosity to be looked at -- and something to put on display for others to look at, as well. She plans to use the churn top and dasher as decorative items in her home. She plans to hang the quilts on the wall, "[a]s if that was the only thing you could do with quilts." She even treats her own family members as curiosities. She takes numerous photos of them, and the narrator tells us, "She never takes a shot without making sure the house is included. When a cow comes nibbling around the edge of the yard she snaps it and me and Maggie and the house." But Dee fails to understand that the heritage of the items she covets comes precisely from their "everyday use" -- their relation to the lived experience of the people who've used them. "You didn't even have to look close to see where hands pushing the dasher up and down to make butter had left a kind of sink in the wood. In fact, there were a lot of small sinks; you could see where thumbs and fingers had sunk into the wood." Part of the beauty of the object is that it has been so frequently used, and by so many hands in the family, suggesting a communal family history that Dee seems unaware of. The quilts, made from scraps of clothing and sewn by multiple hands, epitomize this "lived experience." They even include a small scrap from "Great Grandpa Ezra's uniform that he wore in the Civil War," which reveals that members of Dee's family were working against "the people who oppress[ed]" them long before Dee decided to change her name. Unlike Dee, Maggie actually knows how to quilt. She was taught by Dee's namesakes -- Grandma Dee and Big Dee -- so she is a living part of the heritage that is nothing more than decoration to Dee. For Maggie, the quilts are reminders of specific people, not of some abstract notion of heritage. "I can 'member Grandma Dee without the quilts," Maggie says to her mother. It is this statement that prompts her mother to take the quilts away from Dee and hand them to Maggie because Maggie understands their history and value so much more deeply than Dee does. Dee's real offense lies in her arrogance and condescension toward her family, not in her attempted embrace of African culture. Her mother is initially very open-minded about the changes Dee has made. For instance, though the narrator confesses that Dee has shown up in a "dress so loud it hurts my eyes," she watches Dee walk toward her and concedes, "The dress is loose and flows, and as she walks closer, I like it." The mother also shows a willingness to use the name Wangero, telling Dee, "If that's what you want us to call you, we'll call you." But Dee doesn't really seem to want her mother's acceptance, and she definitely doesn't want to return the favor by accepting and respecting her mother's cultural traditions. She almost seems disappointed that her mother is willing to call her Wangero. Dee is possessive and entitled as "her hand close[s] over Grandma Dee's butter dish" and she begins to think of objects she'd like to take. And she's convinced of her superiority over her mother and sister. For example, the mother observes Dee's companion and notices, "Every once in a while he and Wangero sent eye signals over my head." When it turns out that Maggie knows much more about the history of the family heirlooms than Dee does, Dee belittles her by saying, "Maggie's brain is like an elephant's." The entire family considers Dee to be the educated, intelligent, quick-witted one, and so she equates Maggie's intellect with the instincts of an animal, not giving her any real credit. As the mother narrates the story, she refers to Dee as Wangero. Occasionally she refers to her as Wangero (Dee), which emphasizes the confusion of having a new name and also pokes a little fun at the grandness of Dee's gesture. But as Dee becomes more and more selfish and difficult, the narrator starts to withdraw her generosity in accepting the new name. Instead of Wangero (Dee), she starts to refer to her as Dee (Wangero), privileging her original given name. When the mother describes snatching the quilts away from Dee, she refers to her as "Miss Wangero," suggesting that she's run out of patience with Dee's haughtiness. After that, she simply calls her Dee, fully withdrawing her gesture of support. Dee seems unable to separate her new-found cultural identity from her own long-standing need to feel superior to her mother and sister. Ironically, Dee's lack of respect for her living family members -- as well as her lack of respect for the real human beings who constitute what Dee thinks of only as an abstract "heritage" -- provides the clarity that allows Maggie and the mother to "appreciate" each other and their own shared heritage. What Does Toni Morrison's "Recitatif" Mean?